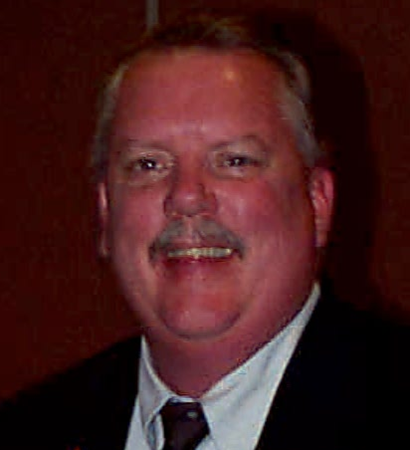 On December 29, 2005, the New York State Law Enforcement Accreditation Program lost a valued staff member with the sudden death of John Kimball O'Neil. John joined the staff of the New York State Division of Criminal Justice Services in 1990 and worked primarily on the accreditation initiative. In April 2004, John's hard work and dedication resulted in his promotion to be the supervisor of the Division's accreditation work group. John was a Captain in the United States Army and subsequently worked for several law enforcement agencies. His 32 year career in policing included service with the Capitol Police (Albany, NY), the Winooski (VT) Police Department, and the Fort Lauderdale (FL) Police Department. In 1989, John was placed on permanent disability leave from the Ft. Lauderdale P.D. following several line-of-duty injuries. John will always be remembered for his infectious smile and his uncanny ability to make other people laugh. He particularly enjoyed working with accreditation program managers, who have the difficult task of ensuring that their agencies meet all applicable requirements. It was not unusual to hear program managers praise John at meetings of the Accreditation Council for the tireless assistance that he gave them throughout the implementation process. The Division of Criminal Justice Services is proud to name the Certificate of Achievement that it awards to the managers of newly accredited and reaccredited agencies after John Kimball O'Neil.